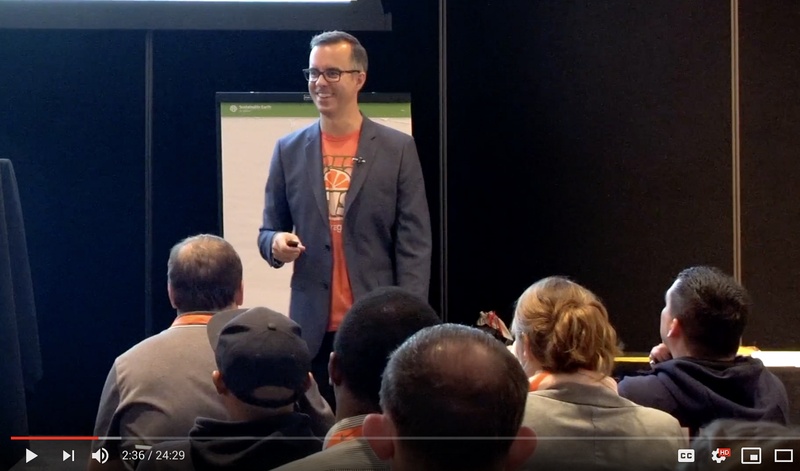 I was invited to speak at AgileCamp NW, and of course I jumped at the chance. It’s a great event, with really sharp people, so I knew I’d be challenged and come away with some strong new networking connections. It was hosted on the Nike World Headquarters, in the Tiger Woods Conference Center. A beautiful venue! The talk was a riff on my Projectopia method. The riff was that I focused a lot on leadership and how *really* being ruthless with cutting away excess baggage on projects can elevate your status within your teams. Learn how to quantify what’s needed to achieve success in a big project. Find out how to break down your new product / feature / marketing / massive assignment into bite-sized chunks. And then you can apply realistic estimates to each step, each phase. You’ll be able to rally teams behind the dream, get stakeholders off your back, and most importantly you’ll be able to sleep a lot more soundly at night with less stress! Find project utopia with Projectopia. Download the presentation notes here. Originally published at Andy Rosic — Projectopia, the stress free way to crush big projects. 3x Founder, 20x Growth, Innovation Product Mgr, Gamer, Investor, Mt. Biker, Drummer, Foodie. 3 Kids stuck in perpetual Beta. https://andyrosic.com.